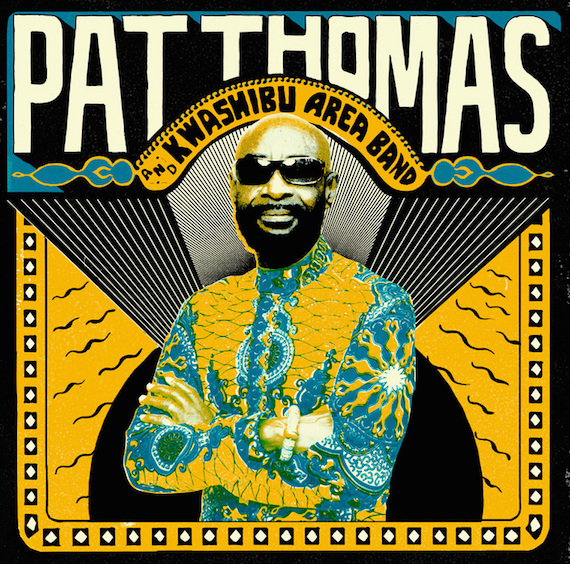 “The Golden Voice Of Africa” – Pat Thomas. A regular collaborator with Ebo Taylor, Thomas was a mainstay of the ‘70s and ‘80s Ghanaian highlife, afrobeat and afro-pop scenes. Via Strut Records …And Kwashibu Area Band reunites Thomas with Ebo Taylor, Tony Allen, Osei Tutu (Hedzolleh Sounds) and bassist Ralph Karikari (The Noble Kings).